Can You Win the Blame Game? 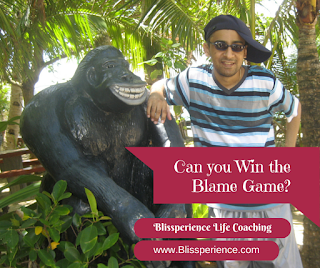 The Blame Game – you love this game if you’re on top, and absolutely hate it when you’re on the bottom. This is the game that is played by everyone, in every walk of life. You’ll find politicians, entrepreneurs, doctors, lawyers, teachers, students, parents, terrorists, and even many so called “highly revered” spiritual gurus playing this game. It may seem that the blame game has become part of our nature, but the truth is that this is an acquired behavior, not our true nature. I was totally awesome at this blame game. I blamed my parents for all the challenges in my life. I blamed them for all the countries to which we had to relocate, because I had to leave my old friends and find new ones. I blamed them for moving to Taiwan because it was so difficult for a foreigner to find a job. I even blamed them for my health conditions; after all it was due to their defective genes that I was sick, wasn’t it? However, I realized that whenever I blamed my parents, there would be no resolution. By not accepting their “fault” for my life, it was left up to me to take responsibility. This simple conviction and resolution to take control of my life changed my attitude and behavior. Unfortunately, the blame game did not end here, since I had many deep-rooted beliefs that were surfacing in the form of blame. So, when I lost partial vision, which was a huge challenge for me, once again I started the blame game. Although, this time I could not blame my parents because they were suffering from my pain as much as I was, or even more. Therefore, my blame turned towards God. Unfortunately, God did not become defensive, take responsibility, or justify Himself. Due to God’s non-responsiveness, I turned the blame upon myself, upon my Karma. The situation I have described here may be different for you, but the context is the same. First we blame our parents, friends, and society, next we blame God, and finally we blame ourselves. Based on my experience none of these types of blame games are healthy or resolve the situation. It’s simply a way to escape from the responsibility to take any action. Therefore, if you have the courage and inner resolve to put an end to this blame game, here are a few mind shifts that you can adopt. · Observe life from a higher perspective – Observe from a mindset that everything happens for a reason, and the situation has contributed or will contribute to the expansion of someone’s consciousness. At best, allow it to raise your consciousness. Either choose to take some action to prevent the situation from occurring in the future, or change your mindset on how you perceive the situation. In addition, if the individual has taken responsibility for the situation and accepted the mistake, it’s time to quit the blame game. Unfortunately, very often, we bring up the situation and create unnecessary conflict. Why? Simply because we haven’t developed mindfulness, and our reactions are automatically triggered whenever that individual annoys us. Raise your level of mindfulness – People will tell you that you always have control over your behavior and attitude. I would disagree. Most people don’t have control of their attitude because their lives are running on autopilot. The habits that they have developed and strengthened over time are dictating their thoughts, speech, and actions. 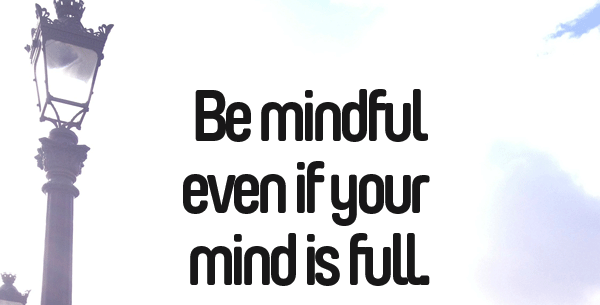 To take back control in your life, you must first raise your level of awareness by practicing mindfulness. Start by observing your emotions, and then observe the thoughts behind those emotions, and finally the beliefs behind those thoughts. Once you are able to become aware of your beliefs in the present moment or at the time that you’re blaming, you can re-focus your awareness into recognizing that belief, and then you can clear it. · Cultivate the art of acceptance - We all face challenges in life, and will continue to do so. This is the nature of existence and the key to our expansion. However, because we do not accept our current situation or life as it is, we slow down our growth. In addition, realize that because you are involved in the situation, you are also partly responsible. Your soul’s contract has placed you in that situation for your personal development. Most importantly, the lesson may be to learn acceptance. · Recognize your hidden agenda - Are you blaming someone because you are jealous of them? Maybe their life has been flowing well, with very little effort, and no matter how hard you try, you have to struggle in every situation. Could it be that you are blaming someone because you unconsciously have some grudge against that person? This may be the opportunity for you to learn how to forgive others, yourself, and notice if there are any other hidden agendas in your beliefs. In conclusion, remember that the past cannot be changed; only the perspective of the past can be changed. And changes must start in the present, if you have made the decision to take responsibility. Finally, the blame game will continue until the blamer takes responsibility of his own life and forgives the individual who “so called” was being blamed for the situation. This behavior is ultimately caused because of deep-rooted beliefs as well as our minds being programmed by our family, society, education, and especially, the media. I invite you to shift your mindset and decide not to participate in any blame game. Take full responsibility of your life, and accept every situation that you cannot control. By putting a stop to this blame game, you will save a lot of time, energy, and maintain good relationships. You will realize that the purpose of every action is to become happy, either today or in the future. This is the root cause of every action, regardless of whether the action is moral or not. However, have you realized that many of your actions backfire? Instead of bringing you happiness it brings you sorrow? Think about this for a moment, we become excited to start a new job, and over the months we discover that our boss is a control freak, so we feel sorrow. We get married to be happy, and realize that we cannot change our husband or wife, and we feel sorrow. We buy a new car to feel happy, and then realize that our neighbor has bought a better car, and we feel sorrow. Our lives have become a roller coaster ride of peaks and valleys – feelings of joy and sorrow. Many years ago, I was in this situation. My feelings of happiness were dependent on how life responded to my desires. If life was happening according to my wishes, I was happy, otherwise I wasn’t. It was that simple. 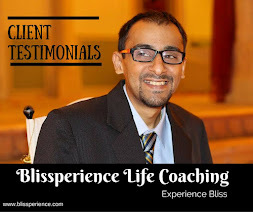 In 2009 when I realized that I would have to live the rest of my life with low-vision, this so called roller coaster of emotions came to a complete stop at the bottom – which was suicidal depression. Basically, I considered suicide because I was moving away from my pain towards happiness and freedom, which would come after death. However, there was still a part of me that wanted to live, heal, and be able to enjoy life in spite of my low-vision condition. 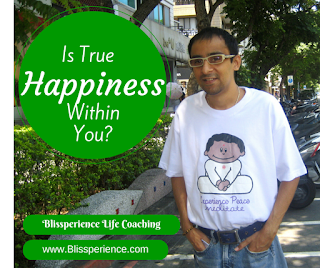 As I reflected on my life’s situation, I remembered the popular phrase of many wise saints - “true happiness is within you”. Haven’t you heard this before? But, they never tell us exactly where it is; they just say, “It’s within you”. If true happiness is within us why it is so difficult to find it? Shouldn’t it be much easier to find a treasure within you, instead of having to search the entire planet? So, I embarked on a journey to find the truth behind this statement. I began this inward journey to find true happiness. I started to meditate and search inwards, and this is what I discovered within the darkness as I closed my eyes. When we close our eyes, we see darkness, isn’t it? In the same way, for example, if you walk into a room and the lights are off, you will not see anything, because it is dark. But when you turn on the light, you will see there are objects, tables, chairs, and people. In the same way when we close our eyes, we see darkness, until we shine some light. When we shine this light, in the form of awareness or attention, we start to see, hear, and feel what is within us. We experience our emotions, intentions, desires, fears, blame, regret, love, and much more. In this state, I experienced all these emotions, and more. In addition, I felt a sense of peace lingering from somewhere within me but I could not find the source of it. Although, I realized something strange – this sense of peace was giving me a feeling of happiness and freedom. I was awe-struck! I realized that this feeling of peace and happiness was always within me, but I had suppressed it. I was so focused on gaining happiness from outside, that I did not even consider looking inwards. And, to make matters worse, my situation made me feel that I did not deserve happiness. This was another shocking revelation. So, over the next few weeks, during my meditation, in a gentle manner, I started to shine more light (awareness) on this feeling of peace, happiness, as well as many limiting beliefs that I noticed. As we treat a flower, I offered water and sunshine (nourishment) to my suppressed feelings and allowed it to blossom. Flowers of peace, happiness, confidence, and wisdom started to grow, and it continues even today. I can honestly say that most of the day, more than 90% of the time, I’m at peace, I’m happy, and there is an inner smile. At times, I even ask myself, “Why am I happy?” and I cannot find a reason – I am happy for no reason. But, the truth is that I’m happy and peaceful, not because of anything, but simply because that is who I am. I have come to the conclusion that the wise men were always right – happiness is within you. Unfortunately, the truth of the matter is that many of you will not find this true happiness. Why? Because you are too afraid to look within yourself. 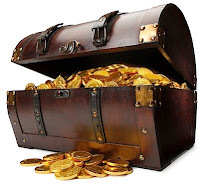 You are subconsciously aware that when you unlock this so called “treasure chest” within you, you will also encounter feelings and emotions that you have suppressed your entire life. In addition you are also afraid of the limitless potential that you will discover within, because you don’t believe that you will be able to live up to who you truly are. Marianne Williamson expresses this very well in a poem, where she writes, “Our deepest fear is not that we are inadequate. Our deepest fear is that we are powerful beyond measure. It is our light, not our darkness that most frightens us”. As always, my number one suggestion is to practice meditation. But many of you will not choose this path, because you feel that it’s too difficult. That is false, however if you choose to believe it, then I will not change your belief. So, here is another technique. Cultivate a sense of enthusiasm, since now you know that we are all motivated by the same force – happiness. However, the manner in which we approach happiness differs between individuals. Some of us seek happiness through extrinsic factors (outwards) such as wealth, fame, and beauty while others seek happiness intrinsically (inwards) through purpose or mastery in some discipline. If you are extrinsically motivated, you may achieve your desires, but that journey will be filled with frustration and fatigue. Alternatively, if you are intrinsically motivated you will always be full of energy, grace, and creativity. And ironically, the intrinsically motivated individuals also attain the extrinsic rewards of wealth, fame, and inner beauty. Finally once you’ve discovered this inner happiness and peace, it will become an expression of you. Whatever you choose to do will be from a place of happiness, instead of seeking happiness. Without a doubt you will experience moments of peace and happiness that are not dependent on any situation or person. This is when the flowers of peace and happiness have blossomed in your garden, and you will have no other choice but to share these flowers with everyone you encounter.